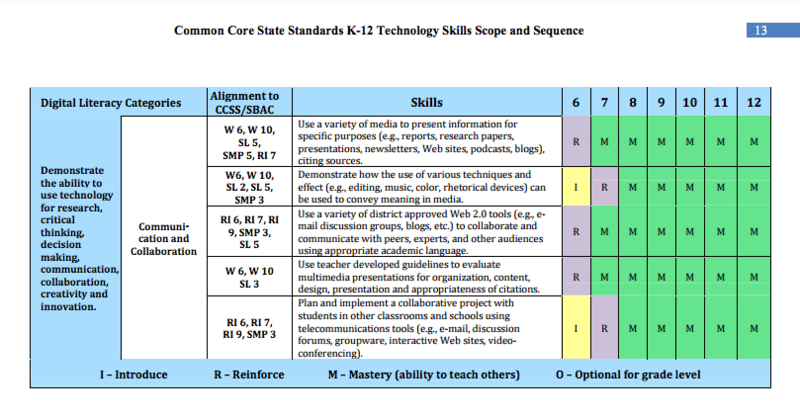 I have used a matrix developed for the Long Beach Unified School District for Technology Skills as they related to Common Core, with a concentration on 9-12 graders specifically, although a blogging program can be adapted for Middle Schoolers and Elementary School students as well. 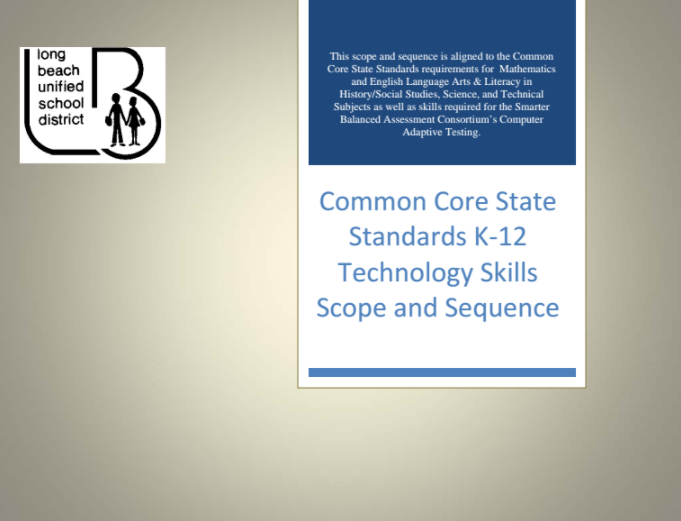 Most of the Common Core standards that are addressed by blogging fall into the general Digital Literacy Category of: Demonstrate the ability to use technology for research, critical thinking, decision making, communication, collaboration, creativity and innovation. 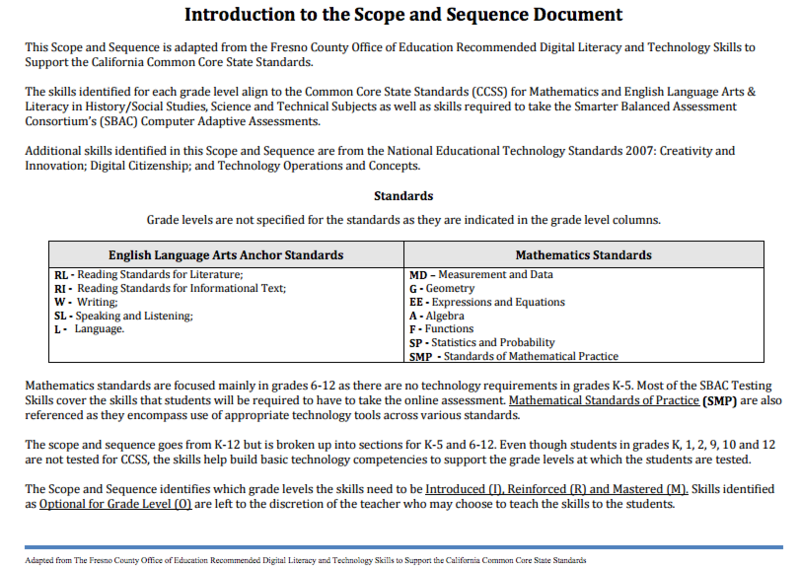 The predominant standards include Reading Informational Texts, Standards of Mathematical Practice, and, of course, writing. 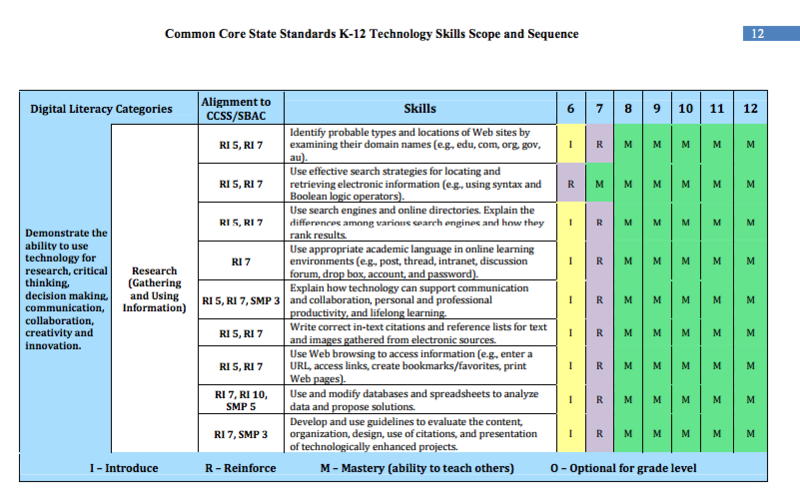 Click on any image above or below to access the entire document.